Thanks for this post; especially the pictures. 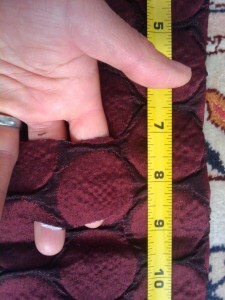 I duplicated this on some inexpensive panels tonight & they look is so much better than the old rod pocket. Thanks for the feedback. I’m glad this was helpful! Tried this today and I love it. 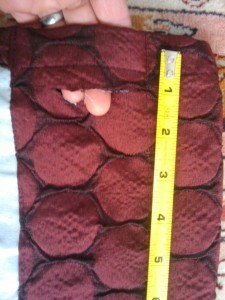 It was so easy and quick and it looks so much better than the rod pockets. 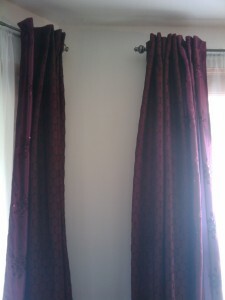 I have grommet curtains in several rooms and I wanted something different. I was going to settle for rod pockets until I stumbled upon this post. Thanks a lot! Wonderful, thanks for sharing! 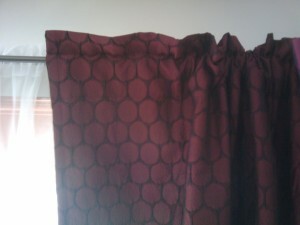 For what it’s worth, I do like how grommet curtains slide easily. I have a set of 96″ back tab curtains that I do move regularly and I safety pinned some metal rings into the tabs to get that easy (but noisy) slide without the grommet look. Your comment just reminded me of that trick. Enjoy! Please add a Pintrest feature; this is one that everyone can love! Thanks for the suggestion. I finally added the pin feature. You saved the DAY! And maybe even the month!!! 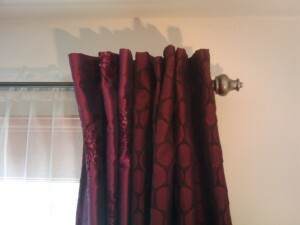 I bought gorgeous lined linen curtains and was so sad when I hung them. The rod pocked looked terrible. A quick google search led me here and 10 minutes later I have the perfect curtains. THANK YOU THANK YOU THANK YOU! !